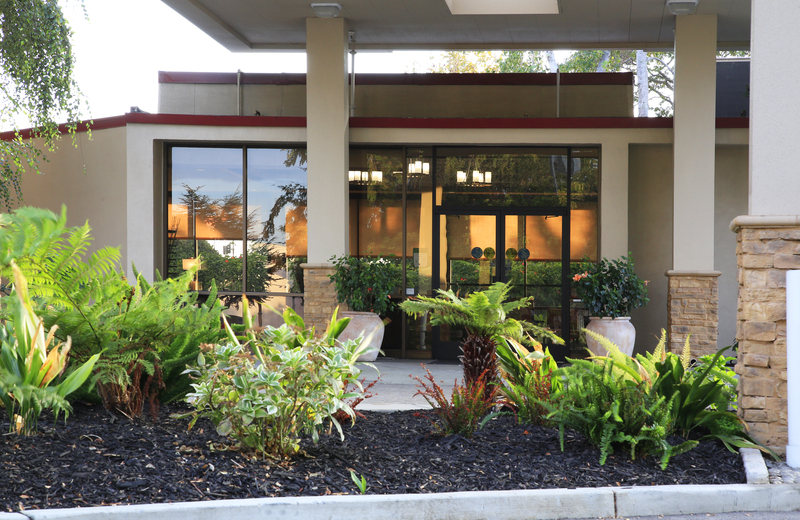 Best Western Garden Court Inn in Fremont, California is a tranquil getaway in the heart of the East Bay. 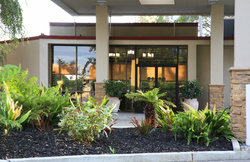 Rest up in our comfortable hotel rooms and suites and let our hotel’s amenities elevate your trip. 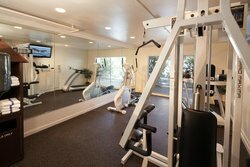 If you need to get to work, let your mind relax and wander, or you’re just looking for a bite to eat, our hotel has everything you need. Situated on three acres of landscaped gardens and trees, there’s plenty of greenery and furnished outdoor space for you to enjoy the good weather, especially in one of our balcony rooms. For some more nature in the heart of the city, Lake Elizabeth’s jogging trails are just two miles away. When the sun isn’t shining in the Bay Area, guests can spend an afternoon enjoying our hotel’s indoor amenities! Join us in the lobby for a free coffee and newspaper, available 24 hours for early morning pick-me-ups and late night workers. Traveling for business? We have dry cleaning services available from the front desk. Simply drop your items off and pick them up the next day. We also have a business center off the lobby, with three computers and a printer. For things you forgot to pack, or for a last minute snack, we have a small shop in our front lobby. Pick up meds, snacks, candy, soda, electronic accessories, and more. 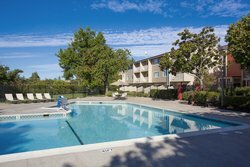 Make a splash in the largest hotel pool in Fremont. Our pool is open seasonally and surrounded by a large pool deck with loungers and our hotel’s signature greenery. 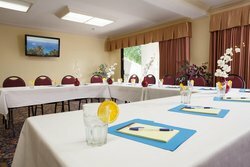 Host a corporate event or small social gathering in our on-site event space. 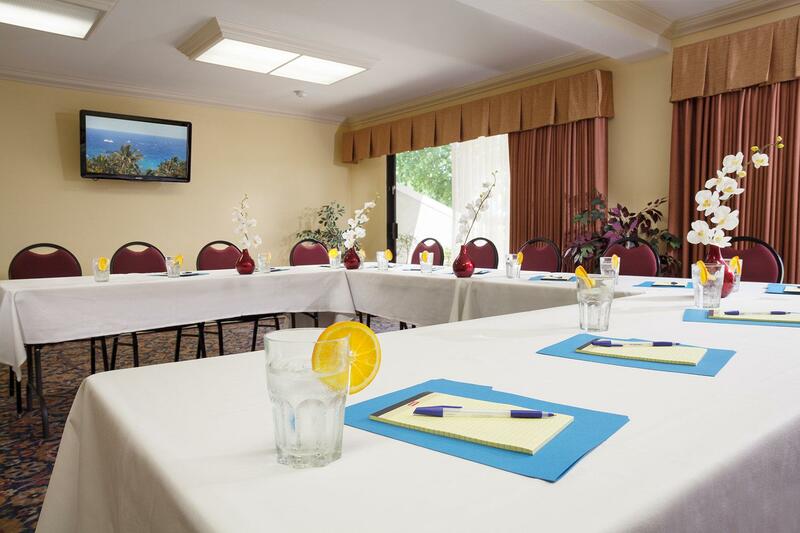 We can provide the tables, chairs, A/V equipment, and additional facilities you need for a variety of events. The room’s capacity is up to 45 people. A decadent breakfast is waiting for you at our hotel! 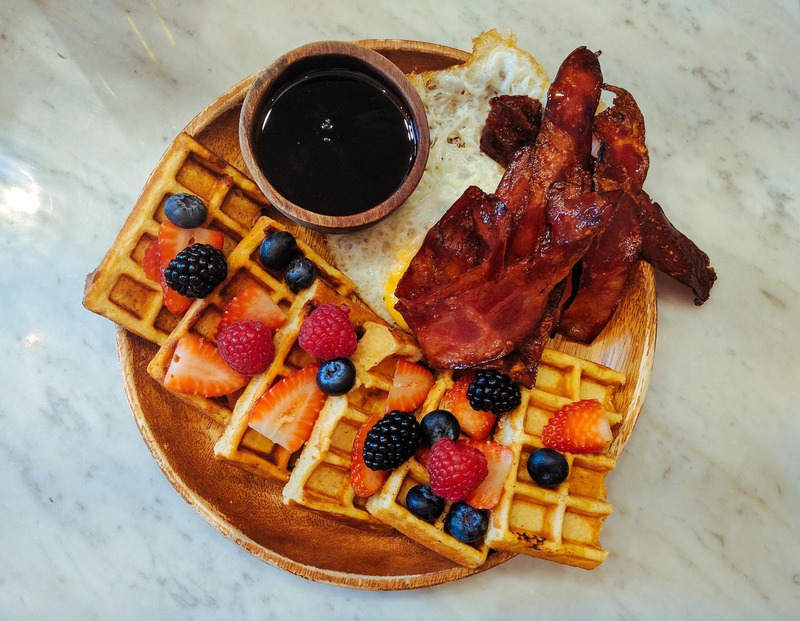 We have a waffle maker and pancake machine, as well as a make-your-own breakfast sandwich station, hash browns, breakfast meats, scrambled eggs, yogurt, fruit, and more. Join us for a twice-weekly reception in the lobby on Tuesdays and Wednesdays. We put out filling snacks and offer a selection of beer and wine to all guests of age, free of charge. Enjoy happy hour right at our hotel!